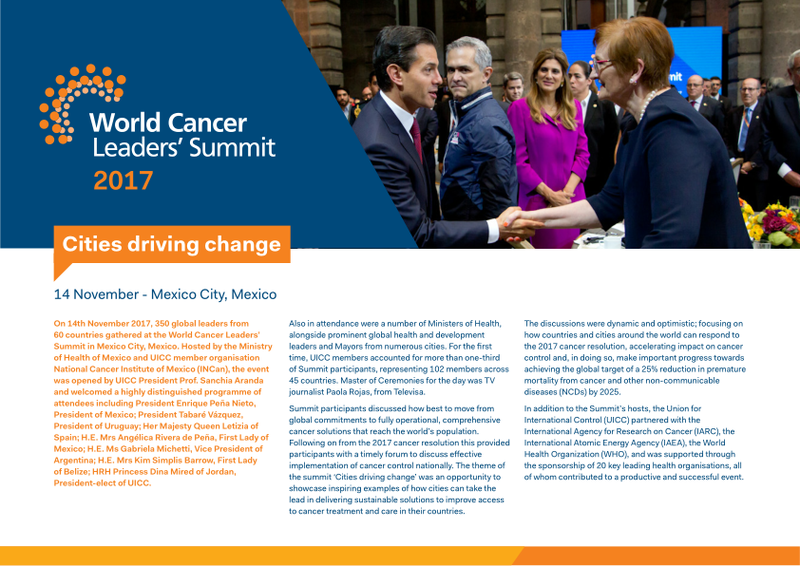 The World Cancer Leaders’ Summit is a major annual high-level policy meeting dedicated exclusively to furthering global cancer control. The event brings together key decision makers from around the world and encourages timely debate on emerging issues related to cancer. It provides an important forum to secure a coordinated, multileveled global response to address the spiralling cancer epidemic. The WCLS is traditionally held in partnership with the World Health Organization (WHO), the International Agency for Research on Cancer (IARC) and the International Atomic Energy Agency (IAEA), and is hosted by a UICC Member from the region. 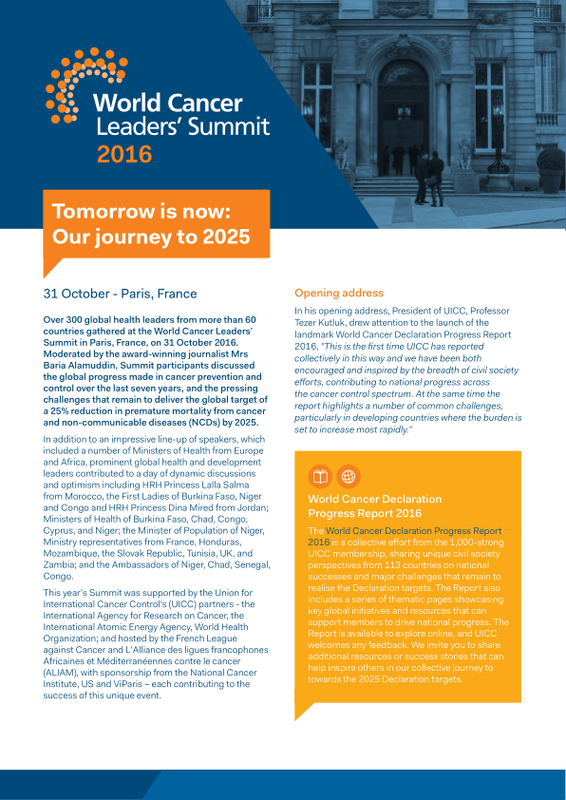 The event is by invitation only, and its attendance is mainly open to UICC Members and partners among the global health and cancer leadership community. 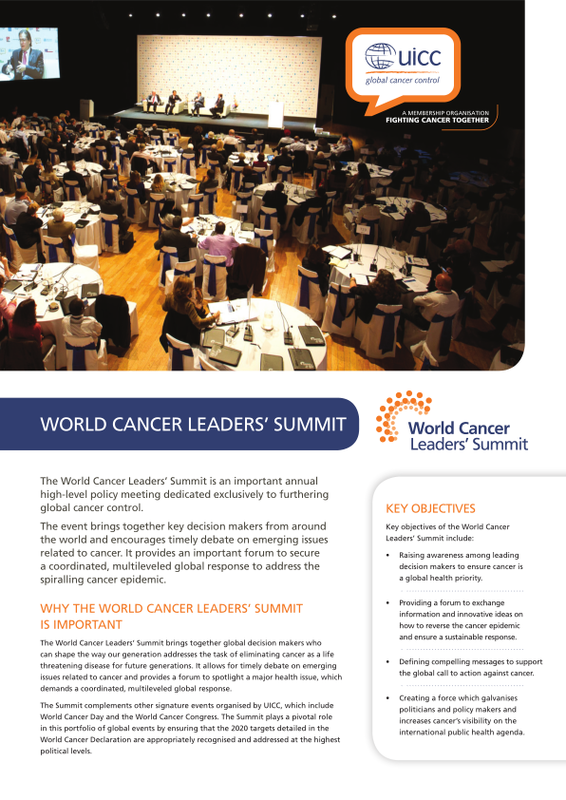 The World Cancer Leaders’ Summit brings together global decision makers who can shape the way our generation addresses the task of eliminating cancer as a life threatening disease for future generations. It allows for timely debate on emerging issues related to cancer and provides a forum to spotlight a major health issue, which demands a coordinated, multileveled global response. The Summit complements other signature events organised by UICC, which include World Cancer Day and the World Cancer Congress. 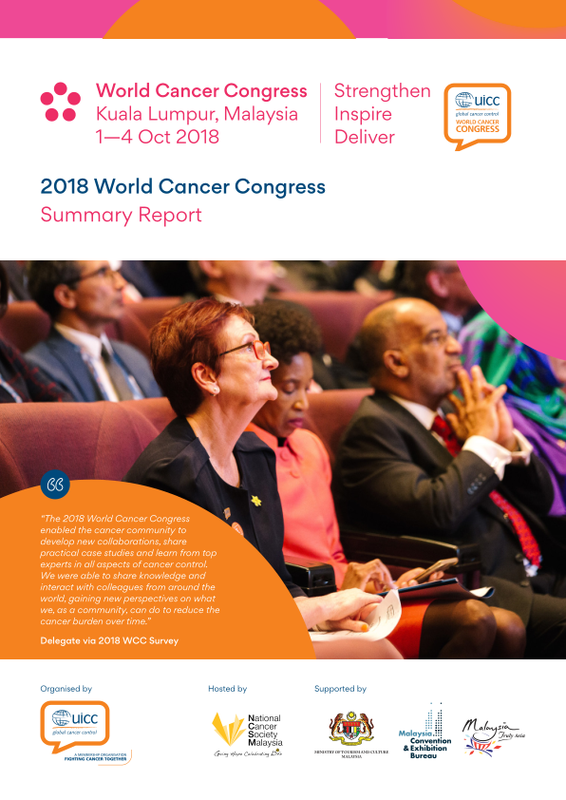 The Summit plays a pivotal role in this portfolio of global events by ensuring that the 2020 targets detailed in the World Cancer Declaration are appropriately recognised and addressed at the highest political levels. Raising awareness among leading decision makers to ensure cancer is a global health priority. Providing a forum to exchange information and innovative ideas on how to reverse the cancer epidemic and ensure a sustainable response. Defining compelling messages to support the global call to action against cancer. Creating a force which galvanises politicians and policy makers and increases cancer’s visibility on the international public health agenda. The 2019 World Cancer Leaders' Summit will be hosted by the Kazakh Institute of Oncology and Radiology (KazIOR) from Tuesday 15 to Thursday 17 October in Nur-Sultan (Astana), Kazakhstan. 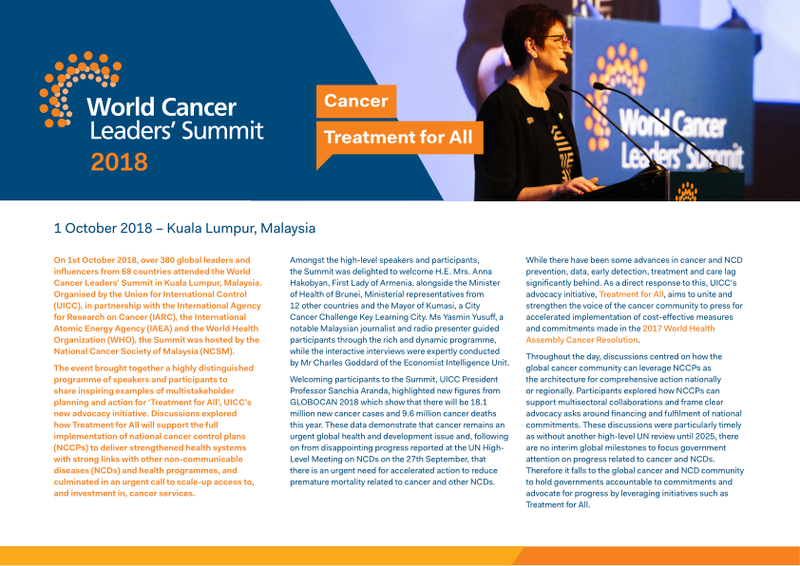 The last World Cancer Leaders’ Summit took place on 1 October 2018 in Kuala Lumpur Malaysia, conjunction with the 2018 World Cancer Congress.